When it comes to sauces, we take special pride. 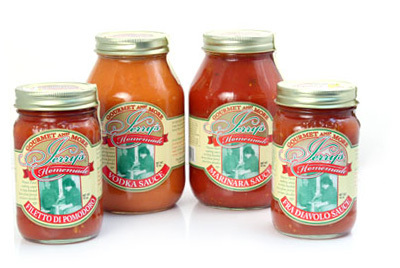 Our special Jerry’s Homemade line of pasta sauces are guaranteed to be the best jarred pasta sauce on the market. Found in select U.S.' top specialty food markets and Zabar's in NYC , we make our sauces only in small batches, with no preservatives. A truly excellent sauce simply cannot sit around on the shelf forever or be made in huge vats! We consistently run out of stock because they are that good!